Please Allow 2-4 weeks for Shipping for products ordered through ExamDoc.com. For international orders, please note you will be responsible for an additional postage fee for any order, and orders will not be filled until that fee is paid. Our staff will contact you following your order to assess that fee through paypal. Products available through ExamDoc.com will have an "add to cart" button in the description. These 241 quick-reference flash cards cover standard orthopedic and neurological tests that chiropractors, physical therapists, physicians, and nurses need to know. Consistent headings on each card include other names of the test; purpose; equipment; recommended patient position; traditional position; alternate patient position; performance; time considerations; normal response; abnormal response; possible pathologies; confirmatory tests; tests replicated; useful combinations; and differential diagnosis. Each card also includes photographs of how to perform the test. 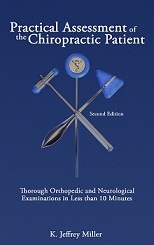 Thorough Orthopedic and Neurological Examinations in Less than 10 Minutes The Kindle/IPAD Edition is now available! Click here to order through Amazon! Medicare documentation is more scrutinized today than ever before, and most doctors are being driven crazy by the scrutiny. 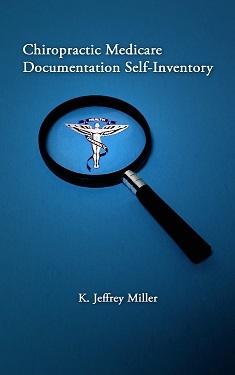 This book, Chiropractic Medicare Documentation Self-Inventory was written to help doctors document properly, increase the odds of obtaining fair reimbursement, and get some peace of mind. Using the text is simple. Doctors only need to pull a Medicare file and begin answering the questions in the book. The book guides doctors through 70 individual questions covering the Medicare case from a global perspective, the initial evaluation, and subsequent daily visits. The answers to the majority of questions regarding the records should be “Yes.” If the answer is no, doctors can tap the “No” answer highlighted in blue) and the book will redirect to the explanation of the related documentation principle. The explanation assists doctors in understanding the Medicare documentation concepts and requirements. The goal is to give doctors the ability to document appropriately and answer every question correctly. This will help assure the doctors' Medicare documentation is compliant. The Kindle/IPAD Edition is now available! Click here to order through Amazon! 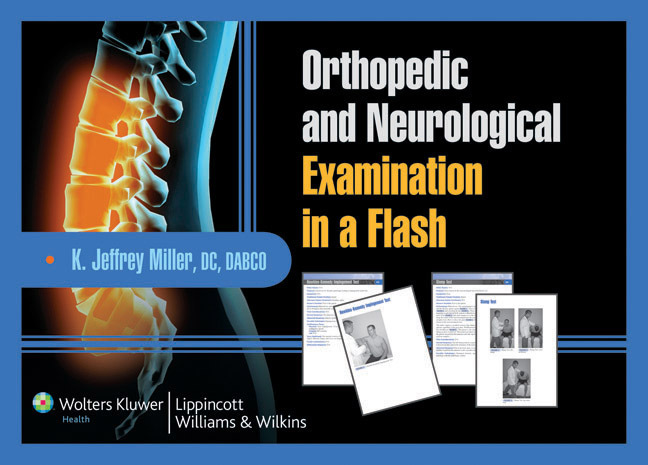 In this second edition of the book that brought about Dr. Miller’s nickname “the Exam Doc,” you will find the details of how to perform and code thorough orthopedic and neurological examinations of the spine and extremities in 10 minutes or less. Enhanced with new chapters on patient history and examining patients in acute pain, this book is a must have for all practitioners and students! "As you read through one step after another you start to feel the momentum building for a call to continuous action. This book gives you things to do, not just things to think about." Coach/Motivational Speaker and Author of Fearless and Shift Your Mind: Shift the World. 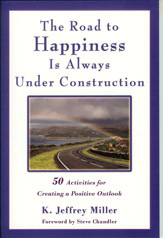 Dr. Miller is the author of 9 books and hundreds of articles. Below are products offered by ExamDoc.com in the past but no longer available for purchase. 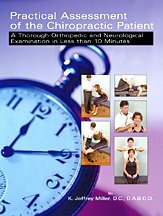 This is the book that brought about Dr. Miller’s nickname “The Exam Doc.” The book details how to perform and code a thorough orthopedic and neurological examination in 10 minutes or less. 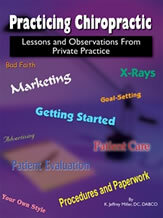 This book is a must for all practitioners! Written to celebrate his first 15 years of practice, this management book provides clinical and business pearls for all chiropractors. The book is divided into eight sections; Getting Started, Procedures and Paperwork, Marketing, Patient Evaluation, X-rays, Patient Education, Patient Care, and Potpourri. Each section is subdivided into chapters that deal with specific topics relating to the main heading. Dr. Miller's writing style is concise while remaining conversational. This book is an extremely enjoyable read, with a balanced blend of practical applications, referenced articles, and humorous anecdotes mixed throughout, and it is equally valuable as a teaching tool for your staff. Package contains a total of 36 reproducible forms and handouts. 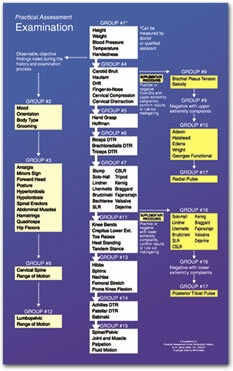 This wall chart provides a quick visual of the 10 minute examination process described in Dr. Miller’s book Practical Assessment of the Chiropractic Patient. A perfect companion to the book, this flow chart provides the doctor with a quick reference in the examination room.